This stunning, new property is on the banks of the Mekong River and offers incredible views together with beautiful, intimate guest rooms and an authentic quality, Asian feel. 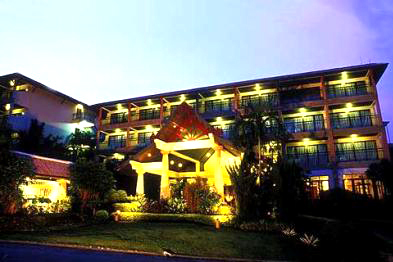 Arawan Riverside Hotel offers seven floors of excellent views, great facilities and luxury. This hotel comes with an elephant theme that adds a boutique feel to the charm of the interiors and guest rooms with every door knob being an elephant. 12-storey deluxe hotel boasts 225 rooms and features three restaurants, a coffee house, a lobby bar, a shopping arcade and an outdoor swimming pool. For business travelers, the main conference hall seats approximately 2000 people and the meeting room can accommodate up to 200 guests. 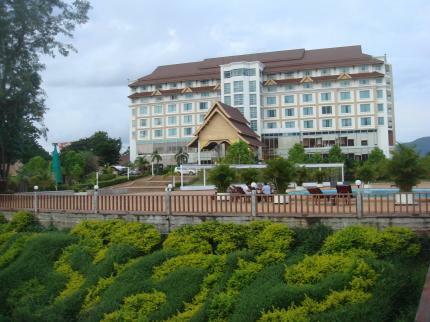 The hotel is situated alongside the Mekong River . In 2001 the Santi Resort and Spa has been constructed 6 km way from the original Villa Santi Hotel. The boutique hotel resort sits in a 10 hectare valley, beautifully landscaped with streams leading to the Mekong River. The whole site is surrounded by mountains, hills and terraced rice fields. The resort features 52 luxury rooms. Villa Maly is an absolutely beautiful property located in a quiet lane surrounded by tropical gardens, close to ornate Buddhist Wats and a stroll from the centre of Luang Prabang, the rivers and famous night market. Villa Maly offers an open air restaurant, spa and massage facilities and very friendly, helpful and professional staff that will make your stay as comfortable and convenient as possible. Cosmo is a boutique hotel in the Vientiane Capital, offers a huge area with the graceful luxury of Lao's finest services, accommodations and facilities. It also enjoys closeness to the cultural venues of our late president's monument and the renowned That Luang Stupa. Cosmo is an ideal getaway for those who would like to escape from the hustle and bustle of the City.